Missed TIFF? A field guide for you. Experiencing a massive September movie festival is extending your summer vacation and starting an intensive school year all at once. Pleasure is to be had in dwelling in dozens of narratives, as a booklover dives into a juicy novel. Equal to those thrills are the challenges from every filmmaker to their audiences. Take my creative outburst and let it inhabit you for awhile, before it becomes a provocation, a worm wiggling into your sense of order and reason. People categorize movies as an escape, but that’s not what I seek in them. 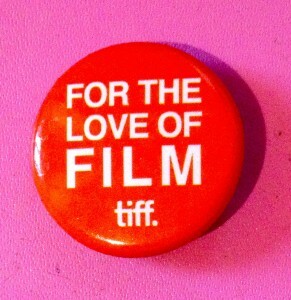 Especially this week, when all the world is here for the Toronto International Film Festival. I’m looking for fiction films that make me feel cornered, that force me to look at things I don’t normally see. 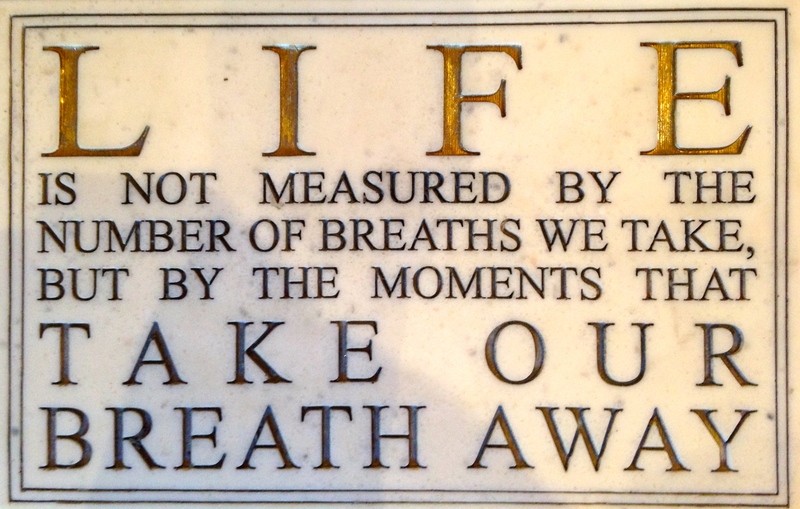 I want to dial into lives other than mine, to drill down into them. I don’t want real life-I want hyper-real life, where the emotions of years are concentrated into hours. Through that, I hope to get a sense of how other people experience being alive. For the thrill seekers, Toronto’s King Street four day shutdown was a carnival, the very tangible proof of the pulse of 600,000 attendees, from international media to actors, writers, directors, producers, cinematographers, editors, producers, distributors, agents and fans in the queue, snaking around the block. Hipster filmgoers, sniffing at the fanatics snapping selfies after hours of carefully planned stalking at the barricades, miss the point. Without the screaming hordes, and the flash of the red carpet bulb, we would all be hushed before a museum wall of lush portraits. It is ridiculous, sublime, a total kick. Of course, the beauty is in the story, inside the movie house, where the crowds finally hush. Strangers are scarce in TIFF line ups. For every loner with a book to pass the time, are lively groups all down the queue, dishing about story or script, lighting or framing, music or pacing. Comparing notes is common practice, saving seats I need to pee, can you watch my stuff an easy nod. Kindred spirits smile at one another as the week goes on, spotting each other in venues across the city. Every year, I discover new friends I won’t see again, but the time passed together on the pavement is a light in the September chill. Inside historic movie houses, where storied performances embed themselves in the walls, a nervous director stands, shielding her eye from the glare of the spotlight. I hope you like it, she says of her offering. The crowd is with her, at that moment. We sink into our seats and wait for the magic. There was lots to like. Scheduling three dozen films means you miss some good ones. I didn’t see the People’s choice winner ( The Imitation Game), or Whiplash, a film the Friendly Greek ( who saw more films than me and must be dozing on the job right about now) loved. As promised, my favourites from a long list and insane schedule…Look for these this fall in theatres, although some won’t show up until 2015. 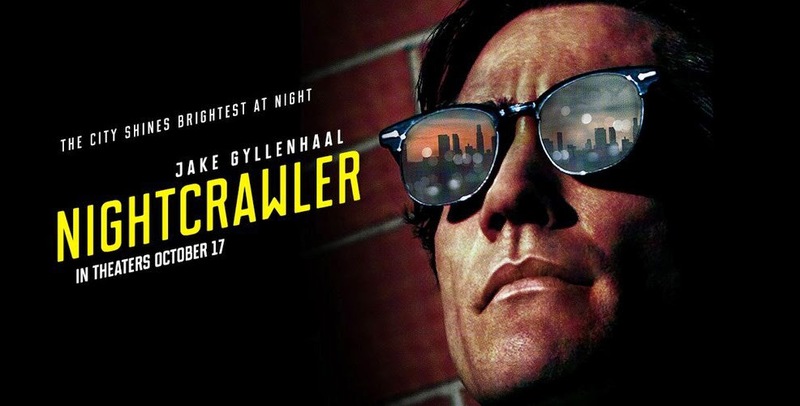 Nightcrawler: A sleek thriller of overnight horrors that shines sharp focus on the darker side of media. Jake Gyllenhaal creates a perfectly perverse sleezeball here. Left thinking it was all pretty sick until I realized it was happening somewhere at this very moment. Great pacing and tension. Loved Renee Russo too as the desperate news editor no less sleazy. Force Majeur: Before the premiere, the director and writer Ruben Ostlund apologized to the married couples in the audience. 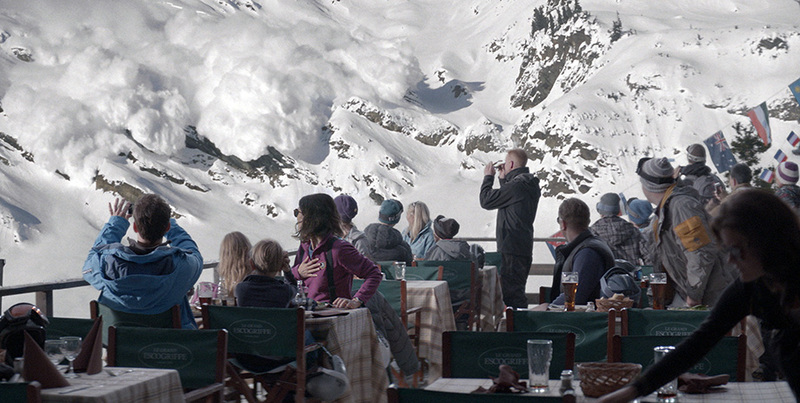 This perfectly nuanced drama had me laughing and wincing in equal turns-a family of four takes a holiday in the French Alps where an avalanche exposes their weaker links. Wild: The spirit of author Cheryl Strayed is as feisty as ever on the big screen as her best-selling memoir is translated beautifully by Montreal director Jean-Marc Vallée. I was skeptical about Reese Witherspoon going in and came out a fan. Vallée’s direction of the great trek on the Pacific Coast Trail was as vivid and profound as the book itself, a near impossible feat. The Last Five Years: A sung-through musical, once an off Broadway cult hit, now on film. The very charming Anna Kendrik and Jeremy Jordan are big talents, as a young couple examining both the evolution and dissolution of their relationship. Hate musicals? Not for you. Yes, to everyone who does. Clouds of Sils Maria: To watch a great actress in mid life play a great actress in mid life was a highlight for this writer in mid life. Binoche is simply awesome to behold, as the actor contemplating repeating a stage role she once performed as a young woman. Helping her through the decision ( or not) is her assistant, Kristen Stewart, here proving she has the acting chops after all (Sorry Twilight fans. I was a non-believer). 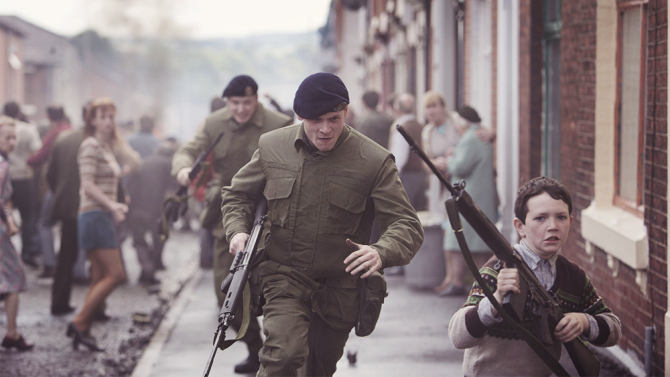 ’71: A packed house was on the edge of their seat with this awesome thriller about a British soldier abandoned accidentally by his unit behind enemy lines in Belfast. Actor Jack O’ Connell told the audience he only agreed to do the film if it proved not to be a glorification of war. He must have been thrilled then as the film neatly navigates around loyalties while ratcheting up the tension. 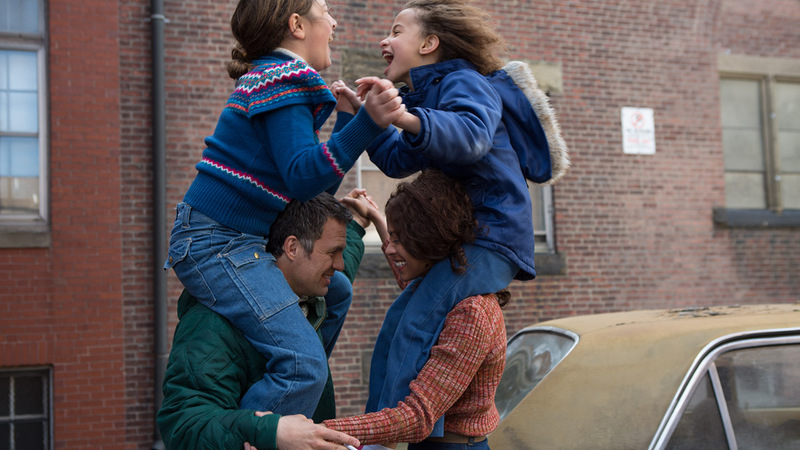 Infinitely Polar Bear: Mark Ruffalo delivered one of my favourite performance of the festival as the loveable dad of two daughters, struggling to be a responsible parent after a nervous breakdown. First time director Maya Forbes, named as one of Ten directors to watch by Variety, cast her daughter as one of the kids-both were on hand after the film to answer questions from an audience touched by the story of Forbes’ own childhood. This is a deeply personal film full of tenderness and heartache but lightened by humour of the best kind. Margarita, with a straw: Winner of the NETPAC award for best Asian film, the film centres on a Delhi student with cerebral palsy who comes of age at NYU. One of several films I saw this year about moms and daughters that made me cry. 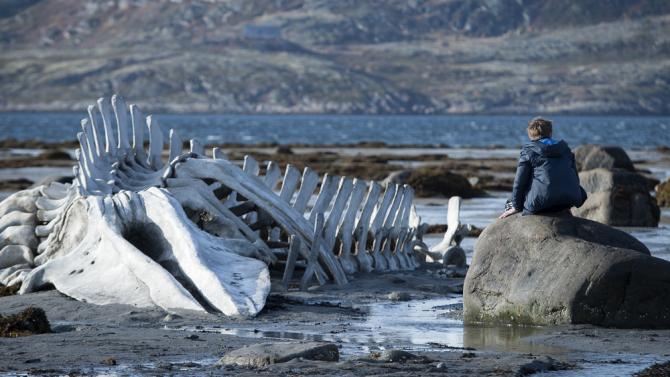 Leviathan: A masterful film, set in a northeast Russian fishing village, this is the story of Job, via a down and out father who finds himself battling the state and losing it all. Bleak as hell, with stark, heavy imagery and tragic overtones, this one made me shiver long after the film ended. The Drop: Gangster battles in Brooklyn are the centre of this tense drama that has puzzling plot turns but no matter to this fan. Why? Tom Hardy is electric. He’s just that good and yes, I’m repeating myself here to say that this is the actor to watch right now. Nobody does quiet intensity better. Miss Julie: From the famous naturalistic play by August Strindberg, comes the passion-fuelled story set in Midsummer 1890 Ireland, where valet (Colin Farrell) and the baron’s daughter (Jessica Chastain) engage in a dangerous relationship. The film is overly theatrical and becomes claustrophobic at times, but some of the best sparks of the festival were those between the big talents of these two fine actors. Director Liv Ullman also serves up some beautiful imagery amidst all the dark flirtation. Haemoo: An incredibly tense nautical thriller from internationally renewed Korean director Bong Joon-ho, this is a story about survival with deadly costs. Two dimensional action genre characterizations and a weak ending knocked this one off my favourites list but the story gripped me nevertheless from start to finish. Mr. Turner: Easily the most sumptuous cinematography of the year but no surprise from master Mike Leigh. Actor Timothy Spall is terrific as the eccentric British painter but the biopic lacked dramatic tension for me and clocked in a little too long for comfort. Still, exquisite scenes melting into one another was a good reason to stay put. The Riot Club: I chose this film because I loved director Lone Sherfig’s An Education but here, she loses nuance as the film hammers the point rather brashly. But the story about a repulsive secret Oxford University society is still served up with style and a troupe of talented actors deliver the satire with panache. Still Alice: My book club loved this book, a study of a bright professor diagnosed with early onset Alzheimer’s so I took along a couple of our club members-together,we wept quietly thanks to Julianne Moore’s strong performance, even if the directing duo of Richard Glatzer and Wash Westmoreland were a little heavy handed with the close ups. Moore is surrounded by an impressive cast but Kristen Stewart was the heart of that group, and her scenes with Moore broke my heart. Again, she surprised me. Madame Bovary: Nine adaptions exist of Flaubert’s novel-do we really need another? Absolutely, especially as director Sophie Barthes is the first woman to try her hand at the celebrated novel about a woman struggling with the confines of her marriage and her own romantic expectations.With the brilliant Mia Wasikowska as her star, the director filmed a stunning looking film over 35 days in Normandy.The costumes alone are enough to see the film, as celebrated French designer Valerie Ranchoux made each dress a piece of art, rich with symbolism. Dukhtar: Picking films for TIFF is akin to poring over maps and pointing THERE! For this, I travelled to the beautiful mountains of Pakistan without losing my seat. There, a mother flees tribal lands with her ten year old daughter, who is promised in marriage to a rival tribal chieftain. 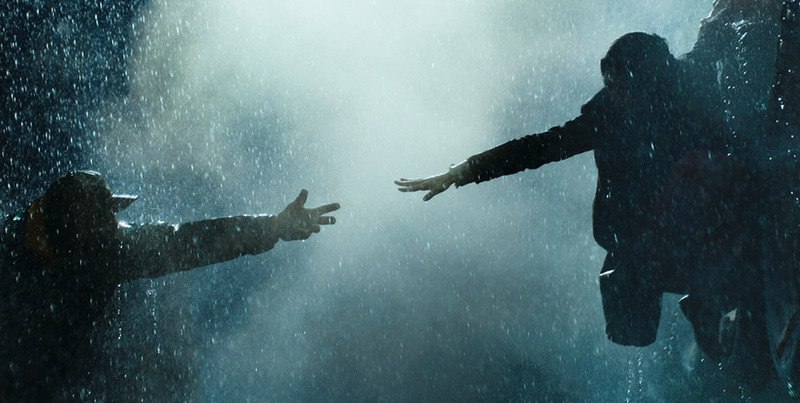 Like many of the films I saw this year, the film combined suspense and dramatic turns with quiet emotion and yet, I wanted more from a script lacking in dimension. Still, I cried and so will you. The Keeping Room: Who is left behind when the men go to war? This is the landscape where two sisters and their slave are left to run and defend their family’s farm during the final days of the American Civil War. The script was a little short of authenticity and left at least one sister (Hailee Steinfeld) dangling with little to do but pout and scream. 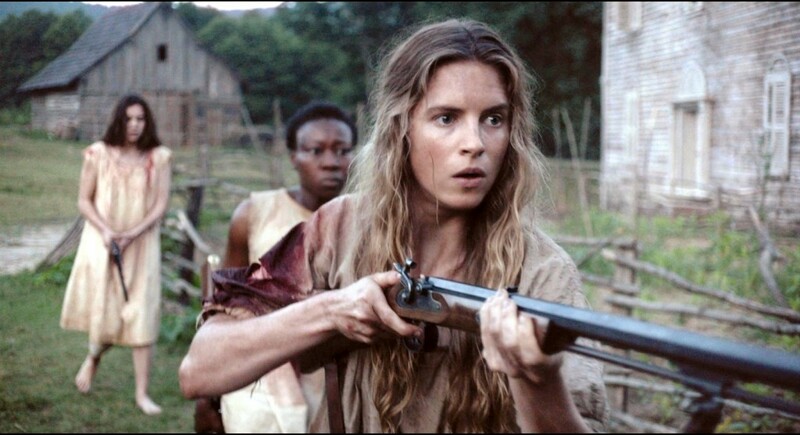 But, films can be elevated or reduced by performance, and as the older sister, Brit Marling, had me at go. Equally powerful was Muna Otari, as the slave whose status in the household continues to shift as the story goes on. A Little Chaos: Director Alan Rickman ( yes, the actor you all know and love) and his star, Kate Winslet were on hand to introduce their film on closing night and a celebratory spirit was certainly in the air as Rickman told his audience This is a romance…for you. Did it deliver as promised? Yes on the romance, if you like your hero ( Matthias Schoenaerts) to brood, sport long, flowing locks and penetrating gazes. 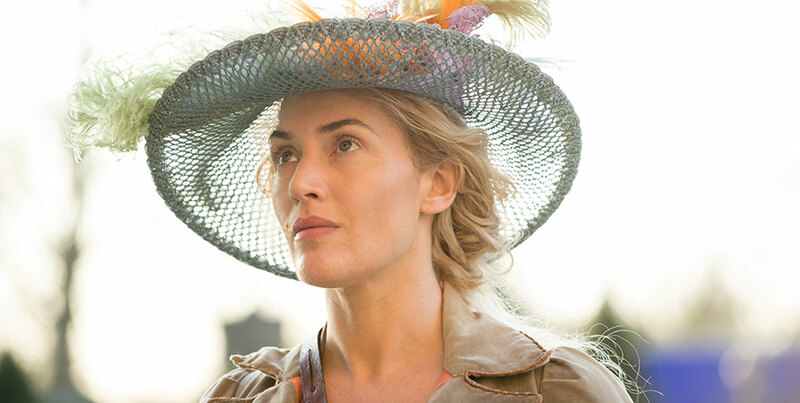 Ok, ok, I fell for it but then, Winslet is always charming and here, as Sabina de Barra, a widow hired to work in the gardens of Versailles, she delivers. There are some beautiful moments and costumes to die for, but the film needs editing and is uneven in tone. Still, hard to resist a romantic period piece and gorgeous gardens. I’m a sucker for both.